In this section you will find our beautiful selection of fine bone china, including the Official Royal Wedding chinaware and official Royal Collection commemorative pieces. Discover own exquisite Royal Palace fine bone china tea set or our new Princess Diana fine bone china commemorative collection. 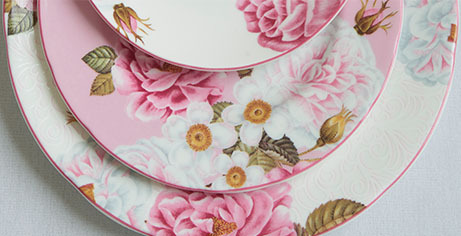 Our china collections are inspired by the palaces and made exclusively for Historic Royal Palaces.